Read our ADA Policy to learn more about our commitment to making the Lake Austin website inclusive and accessible for all. For years, we’ve welcomed guests eager to embrace a simpler state of mind without sacrificing the style and service they desire and deserve. Looking to book a reservation for a group of friends, family or colleagues? Fill out our form to request a group spa vacation rate at Lake Austin Spa Resort. Join our newsletter to receive special offers on your next stay, plus insightful tips and fresh recipes to help you on your personal wellness journey. Create a customized fitness experience at Lake Austin Spa Resort with our unique sessions and attentive personal instruction. We have all-inclusive special offers sure to fit your travel needs. View our enticing packages that will have you feeling relaxed before you even arrive. To reserve your spa treatments and services, please complete our reservation form and we'll get in touch to book your appointments. Discover an escape from the everyday that feels like it’s in your backyard. Easily accessible from downtown Austin, we’re just a 30-minute drive from the city. 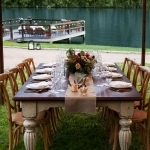 Interested in planning a social or corporate event at Lake Austin Spa Resort? Complete our quote form and we'll be in touch soon. 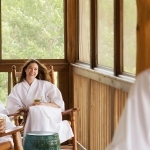 Restful and romantic, a getaway at Lake Austin Spa Resort is the perfect opportunity to reconnect with your partner. Indulge at the LakeHouse Spa and much more. Find information to review and forms you can complete prior to your stay at Lake Austin Spa Resort to make check-in smooth and seamless. Nestled along the shores of scenic Lake Austin, our resort offers guests the sanctuary of a world-class spa and the warmth of a best friend’s lake house. Take a tour of our resort and spa and get to know our slice of paradise in Texas Hill Country, just 20 minutes from downtown Austin. We take great pride in providing a high level of personal attention during your stay. Get to know us before you arrive. 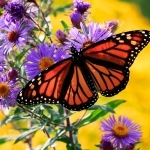 The Monarch Club is our special way of showing appreciation for our return guests. 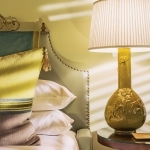 Receive discounts on return stays and special gifts. Our past guests have painted some incredible pictures that capture the relaxing, inspiring experience we strive to provide. We're humbled and honored to be recognized with a number of prestigious awards and accolades over the years. Discover our awards here. From cozy and intimate to open-air and refreshing, our Lake Austin Spa Resort venues can be customized to suit whatever reason is bringing you all together. Ensure each celebration is uniquely memorable when you bring the festivities to life in our secluded hillsides, romantic gardens and peaceful waters. Invite your team to step out of the office and disconnect from everyday distractions at our secluded spa resort overlooking Lake Austin. With all-inclusive group getaway packages, we make it easy for everyone to relax, unwind, and rejuvenate without any worries. Tracing the lineage of this Texas Hill Country wellness retreat from the 1940’s to today reveals a rich story filled with fishermen, nudists, cowboys & more. Dive into our water-focused sessions, or center your mind and body. Whatever your goals or desires are, we can customize a program or outing just for you! Create custom fitness programs or sessions to help you achieve personal goals, feel better, and perform at your best with our expert instructors. The elegant Aster Café located in the LakeHouse Spa offers a seasonally rotating menu for day and overnight guests to enhance their spa experience. 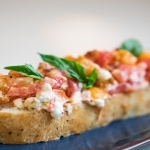 The lakefront dining room and Aster Café bring French influences with local inspiration to cook up healthy, flavorful creations. View menus and more. Inspired by the Blue Mind Theory, we’ve set out to bring the healing benefits of water to the surface for guests with our Ripple Effects programming. Our all-inclusive activities invite you to dive into a new experience while developing a deeper understanding of the transformational properties of water. Arrive at the LakeHouse Spa and leave worries and cares at the door with some of our most asked questions prior to your spa visit. Our day spa packages have been created by our in-house expert staff. Browse everything we offer, then take a day and join us at the LakeHouse Spa. Our welcoming staff provide top-notch service, and our spa offerings have been developed by our in-house experts. The LakeHouse Spa is the perfect place your next group spa day with relaxing spa treatments, a healthy gourmet lunch, and much more. We’re thrilled to welcome dogs at Lake Austin Spa Resort. Treat them to a special menu of canine cuisine, go hiking, and spoil them with treats and toys. 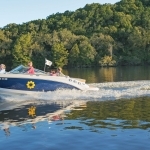 Let us help make your getaway stress free and experience all that beautiful Lake Austin has to offer with our water taxi service. It’s a gorgeous ride! Take advantage of all the amenities that make our slice of paradise so special. Enjoy amenities including our Luxe Water Taxi, Pampered Pets program & more. The beautiful Presidential Suite is our most spacious and versatile accommodation, including a living room, fireplace, private garden and outdoor hot tub. Mix warm accommodations with upscale amenities and you have our Signature Rooms. These rooms are perfect for family or friends who want to share. These spacious rooms embrace our tranquil lake setting with a private garden and outdoor private hot tub. Book your stay at Lake Austin Spa Resort. Our Luxury Garden rooms have been curated for travelers to unwind and enjoy stylish, sophisticated décor. Enjoy your own private garden and soothing fountain. Our Luxury LakeView rooms will inspire you to leave your stress at the door. Relax in a tranquil environment with a breathtaking view of Lake Austin. Looking for a specific page on our site? Search here. 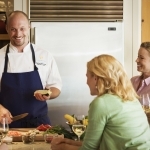 From cooking classes with celebrity chefs, to guest speakers, to unique holiday experiences, explore upcoming events at Lake Austin Spa Resort. Arrive and leave worries and cares at the door with answers to some of our most asked questions. 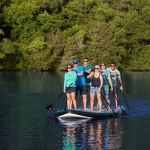 Discover activities designed to refresh, inspire, and enhance your experience at Lake Austin Resort. Most activities are included with your overnight stay. 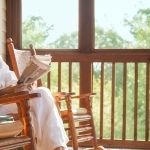 Our rooms and suites are designed to inspire & rejuvenate while embracing the natural charm of the Texas Hill Country. Book your stay at Lake Austin Spa Resort. View the site map for our website. Our friendly team is happy to answer any questions you have about our resort, spa, activities, and more. Complete our contact form and we’ll be in touch. Explore our current job openings & discover how you can join the dedicated team at Lake Austin Spa Resort. Download our application or email your resume. View terms and conditions for the use of Lake Austin Spa Resort’s website, our reservation policies, and more. Our award-winning destination offers the luxury of a world-class spa and the warmth of a best friend’s lake house. Learn more about us. Explore all that we have to offer social & corporate groups. Whether you stay for just the day—or a while longer—we can help you craft an unforgettable escape. Explore our activities calendar and event schedule, and find the ideal experiences for you, your partner, or your group. 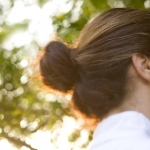 We approach every experience at Lake Austin Spa Resort with a focus on total wellness. Discover how our wellness philosophy comes to life when you stay with us. We offer all-inclusive packages that take all the stress out of your stay. Think inviting accommodations, elevated cuisine, plus endless activities and events. At Lake Austin Spa Resort, we value your privacy, and are committed to protecting the confidentiality of your personal information. A picture of refined simplicity, all-inclusive Lake Austin Spa Resort in the Texas Hill Country marries waterside luxury with welcoming comfort.